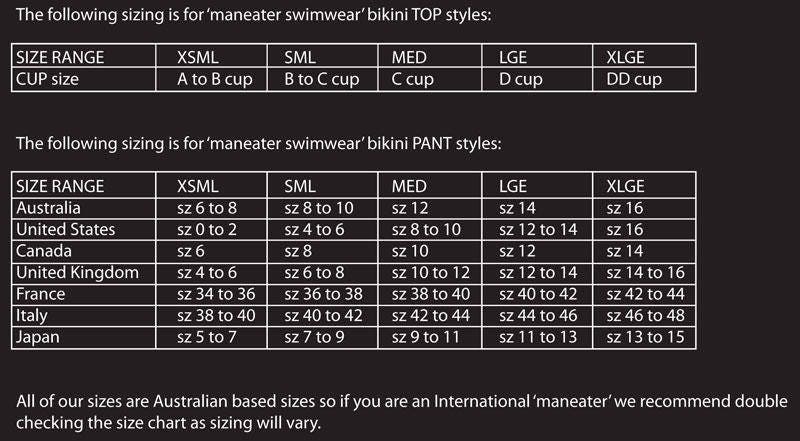 50%OFFSALE *** MissManeater NAUTICAL ring top frill sliding bikini top with draw-cord sporty boutique bikini pant ***BRAZILIAN cheeky cut! 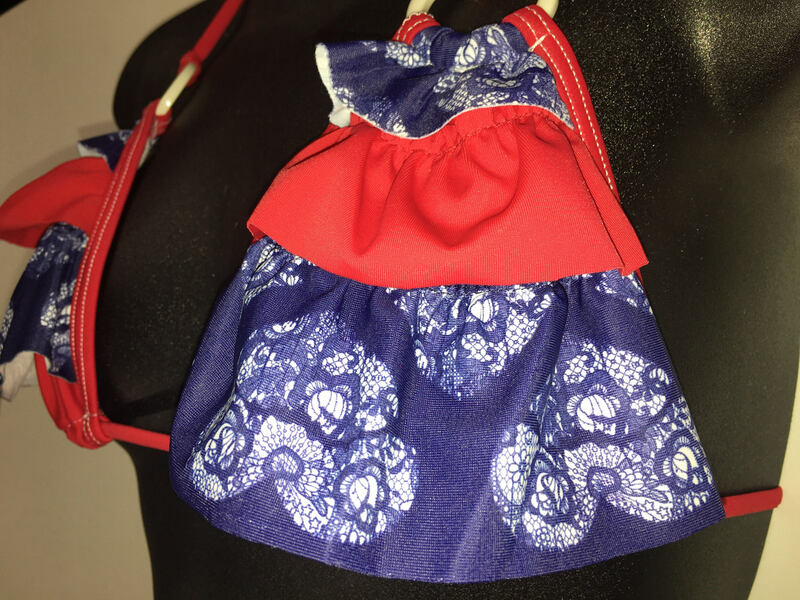 This MissManeater NAUTICAL boutique bikini collection is NEW for our designer swimsuit + boutique bikini brand! This collection has a piece of our heart, as we have hand CREATED this MissManeater branded LOGO print in NAVY + WHITE! Matching it back to our RED contrast print FRILL detail on the top of the sliding triangle top & the waistband of the cheeky BRAZILIAN cut sporty boutique bikini pant. *C cup = works well too! This set would usually retail @ $150....but we have it on SALE at 50% OFF!!! So GET IN QUICK!